Published on July 21, 2011 by cara.b.b. so i was walking through the grocery store earlier in the week, and they had a recipe for a summer peach crostata sitting next to the peaches, so i picked it up. 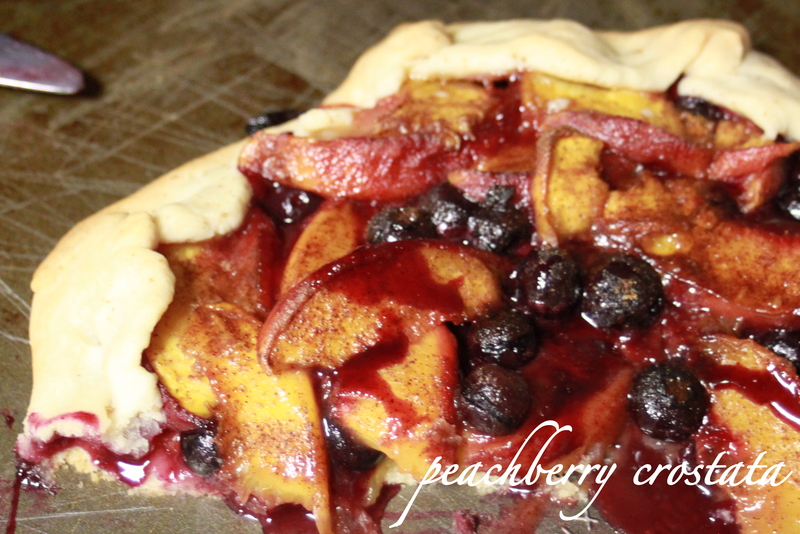 i tried it out last night, and i put my own spin on it – mainly because i didn’t have enough peaches, but i did have blueberries (of course). it seems like every time i make something, i take a bite and say some thing like ‘next time, i’ll (fill in the blank).’ this time was no different. it was great, but i was hoping for a different crust experience. cooking is a lot of trial and error, and next time i’ll try a new pastry crust – probably ina’s, because i think she can do no wrong. 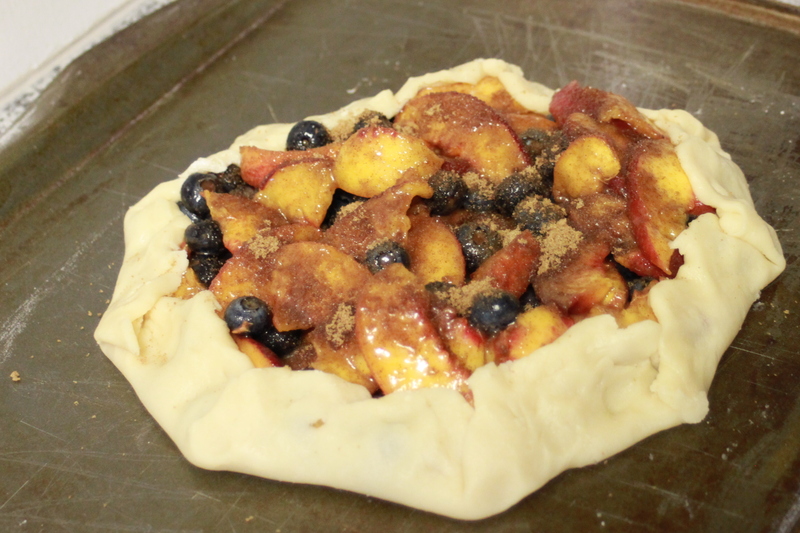 the insides, though, were delicious (i did add about 1/4c of sugar to the fruit). this is one of those dishes that looks nice, doesn’t take a lot of time, and you could change it up based on what you like. 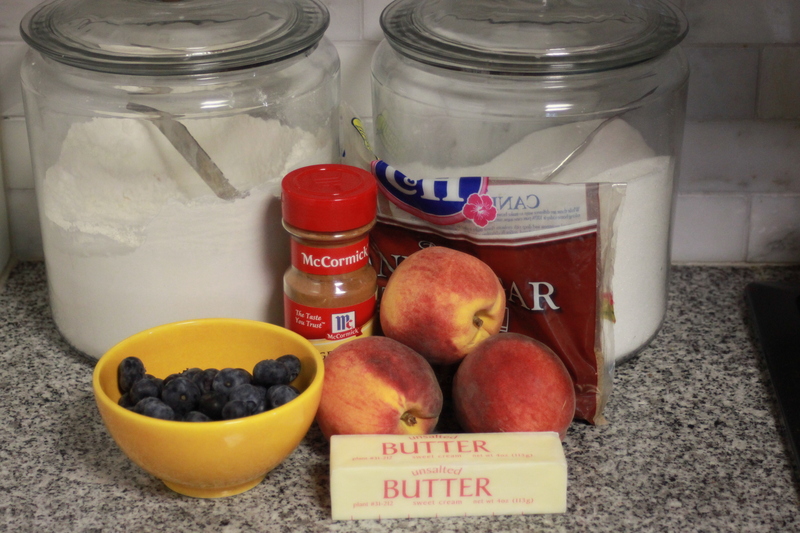 a good foundation recipe that you can make your own. it’s nice to have a few recipes like that in your back pocket. Previous organizing – get to it! Yum! 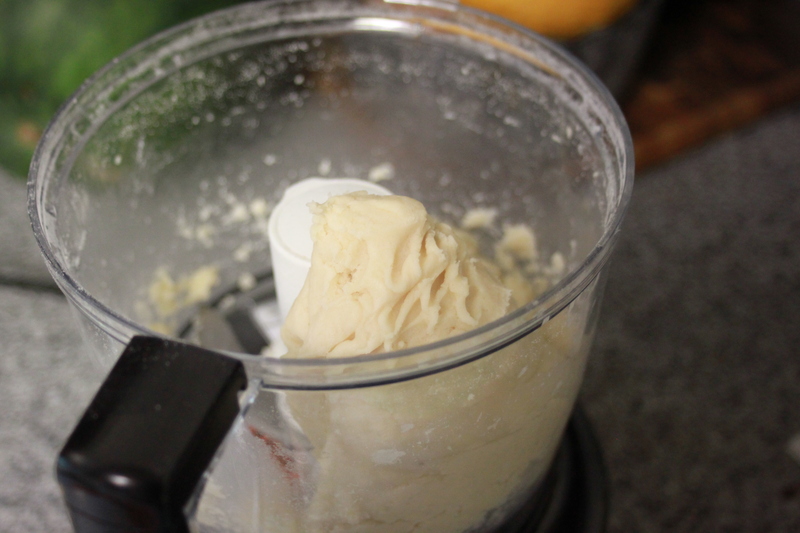 I hear you – cooking is very much about trial and error.